We were honored to have as special guests recently the members of Pan Harmonia. 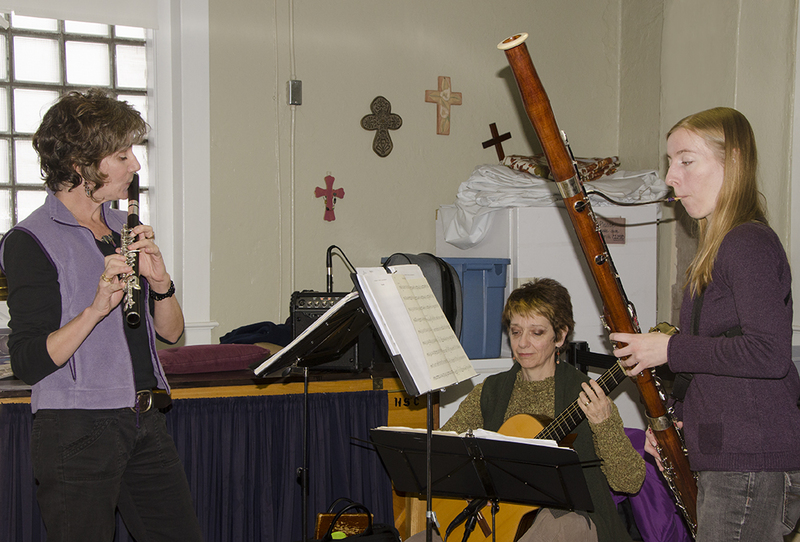 That’s Amy Brucksch on guitar, Rosalind Buda on bassoon, and Kate Steinbeck on flute. Thanks, ladies, both for the special concert downstairs and for your music during worship. You definitely brought us an uplifting and positive note!